Lagomorpha is an order of mammals that includes the hares, rabbits, and pikas. 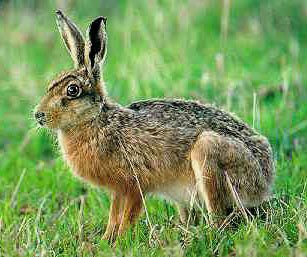 Lagomorphs were once thought to be close relatives of the rodents because they too have constantly growing incisor teeth. Lagomorpha are native to many parts of the world and have been introduced by man to Australia, where they are significant crop pests.